The US YouTube channel DaddyOFive, which features a husband and wife from Maryland “pranking” their children, has pulled all its videos and issued a public apology amid allegations of child abuse. The “pranks” would routinely involve the parents fooling their kids into thinking they were in trouble, screaming and swearing at them, only the reveal “it was just a prank” as their children sob on camera. Despite its removal the content continues to circulate in summary videos from Philip DeFranco and other popular YouTubers who are critiquing the DaddyOFive channel. And you can still find videos of parents pranking their children on other channels around YouTube. But the videos also raise wider issues about children in online media, particularly where the videos make money. With over 760,000 subscribers, it is estimated that DaddyOFive earned between US$200,000-350,000 each year from YouTube advertising revenue. Kid reactions on YouTube are a popular genre, with parents uploading viral videos of their children doing anything from tasting lemons for the first time to engaging in baby speak. Such videos pre-date the internet, with America’s Funniest Home Videos (1989-) and other popular television shows capitalising on “kid moments”. In the era of mobile devices and networked communication, the ease with which children can be documented and shared online is unprecedented. Every day parents are “sharenting”, archiving and broadcasting images and videos of their children in order to share the experience with friends. Even with the best intentions, though, one of us (Tama) has argued that photos and videos shared with the best of intentions can inadvertently lead to “intimate surveillance”, where online platforms and corporations use this data to build detailed profiles of children. YouTube and other social media have seen the rise of influencer commerce, where seemingly ordinary users start featuring products and opinions they’re paid to share. By cultivating personal brands through creating a sense of intimacy with their consumers, these followings can be strong enough for advertisers to invest in their content, usually through advertorials and product placements. While the DaddyOFive channel was clearly for-profit, the distinction between genuine and paid content is often far from clear. As with DaddyOFive, these influencers can include entire families, including children whose rights to participate, or choose not to participate, may not always be considered. In some cases, children themselves can be the star, becoming microcelebrities, often produced and promoted by their parents. South Korean toddler Yebin, for instance, first went viral as a three-year-old in 2014 in a video where her mom was teaching her to avoid strangers. Since then, Yebin and her younger brother have been signed to influencer agencies to manage their content, based on the reach of their channel which has accumulated over 21 million views. Baby Yebin / Mom Teaches Cute Korean baby Yebin a Life Lesson. As viral videos become marketable and kid reaction videos become more lucrative, this may well drive more and more elaborate situations and set-ups. 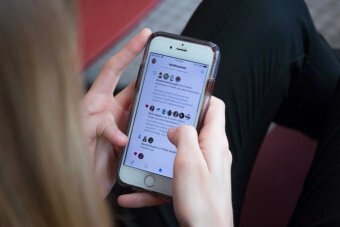 Yet, despite their prominence on social media, such children in internet-famous families are not clearly covered by the traditional workplace standards (such as Child Labour Laws and that Coogan Law in the US), which historically protected child stars in mainstream media industries from exploitation. This is concerning especially since not only are adult influencers featuring their children in advertorials and commercial content, but some are even grooming a new generation of “micro-microcelebrities” whose celebrity and careers begin in the womb. In the absence of any formal guidelines for the child stars of social media, it is the peers and corporate platforms that are policing the welfare of young children. 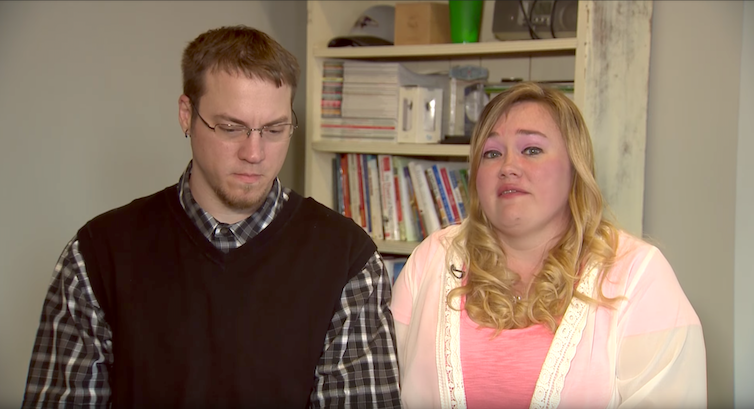 As prominent YouTube influencers have rallied to denounce the parents behind the DaddyOFive accusing them of child abuse, they have also leveraged their influence to report the parents of DaddyOFive to child protective services. YouTube has also reportedly responded initially by pulling advertising from the channel. YouTubers collectively demonstrating a shared moral position is undoubtedly helpful. The question of children, commerce and labour on social media is far from limited to YouTube. Australian PR director Roxy Jacenko has, for example, defended herself against accusations of exploitation after launching and managing a commercial Instagram account for her her young daughter Pixie, who at three-years-old was dubbed the “Princess of Instagram”. And while Jacenko’s choices for Pixie may differ from many other parents, at least as someone in PR she is in a position to make informed and articulated choices about her daughter’s presence on social media. Already some influencers are assuring audiences that child participation is voluntary, enjoyable, and optional by broadcasting behind-the-scenes footage. Television, too, is making the most of children on social media. The Ellen DeGeneres Show, for example, regularly mines YouTube for viral videos starring children in order to invite them as guests on the show. Often they are invited to replicate their viral act for a live audience, and the show disseminates these program clips on its corporate YouTube channel, sometimes contracting viral YouTube children with high attention value to star in their own recurring segments on the show. Sophia and Rosie Grace featured on Ellen after their viral Nicki Minaj video. Ultimately, though, children appearing on television are subject to laws and regulations that attempt to protect their well-being. On for-profit channels on YouTube and other social media platforms there is a little transparency about the role children are playing, the conditions of their labour, and how (and if) they are being compensated financially. Children may be a one-off in parents’ videos, or the star of the show, but across this spectrum, social media like YouTube need rules to ensure that children’s participation is transparent and their well-being paramount. When a person dies, there exist a range of conventions and norms regarding their mourning and the ways in which their material assets are managed. These differ by culture, but the inescapability of death means every cultural group has some formalised rules about death. 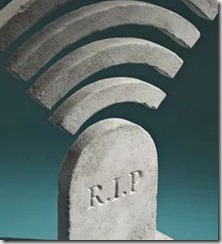 However, the comparable newness of social media platforms means norms regarding posthumous profiles have yet to emerge. Moreover, the usually commercial and corporate, rather than governmental, control of social media platforms leads to considerable uncertainty as to which, if any, existing laws apply to social media services. Are the photos, videos and other communication history recorded via social media assets? Can they be addressed in wills and be legally accessed by executors? Should users have the right to wholesale delete their informatic trails (or leave instructions to have their media deleted after death)? Questions of ownership, longevity, accessibility, religion and ethics are all provoked when addressing the management of a deceased user’s social media profiles. This talk will outline some of the ways that Facebook and Google currently address the death of a user, the limits of these approaches, and the coming challenges for future internet historians in addressing, accessing and understanding posthumous profiles. 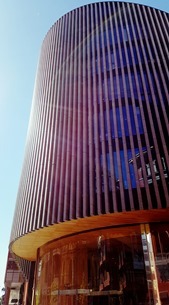 It’s being held in the Council Chambers at Curtin University. If you’d like to come along, please do, registration is open now (and free). Update (10 April 2017): the talk went well, thanks to everyone who came along. For those who’ve asked, the slides are available here. The accidental “death” of Facebook founder Mark Zuckerberg and millions of other Facebook users is a timely reminder of what happens to our online content once we do pass away. Earlier this month, Zuckerberg’s Facebook profile displayed a banner which read: “We hope the people who love Mark will find comfort in the things others share to remember and celebrate his life.” Similar banners populated profiles across the social network. After a few hours of users finding family members, friends and themselves(!) unexpectedly declared dead, Facebook realised its widespread error. It resurrected those effected, and shelved the offending posthumous pronouncements. For many of the 1.8-billion users of the popular social media platform, it was a powerful reminder that Facebook is an increasingly vast digital graveyard. It’s also a reminder for all social media users to consider how they want their profiles, presences and photos managed after they pass away. Your material goods are usually dealt with by an executor after you pass away. But what about your digital assets – media profiles, photos, videos, messages and other media? Most national laws do not specifically address digital material. Requests to access the accounts of deceased loved ones, even by their executors, are routinely denied on privacy grounds. While most social networks, including Facebook, explicitly state you cannot let another person know or log in with your password, for a time leaving a list of your passwords for your executor seemed the only easy way to allow someone to clean up and curate your digital presence after death. Five years ago, as the question of death on social media started to gain interest, this legal uncertainty led to an explosion of startups and services that offered solutions from storing passwords for loved ones, to leaving messages and material to be sent posthumously. But as with so many startups, many of these services have stagnated or disappeared altogether. 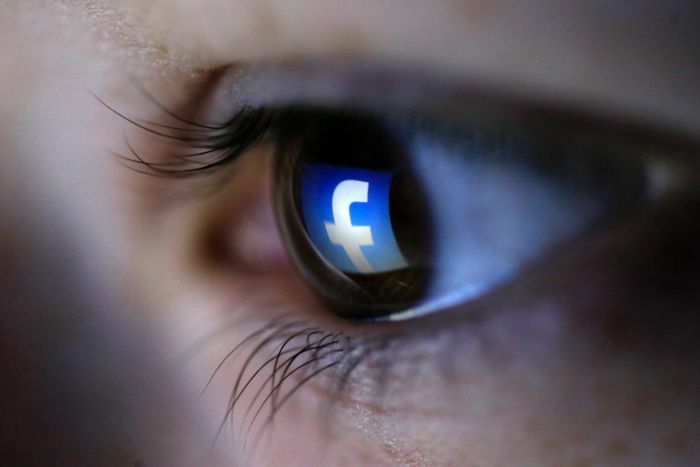 Public tussles with grieving parents and loved ones over access to deceased accounts have led most big social media platforms to develop their own processes for dealing with digital death. 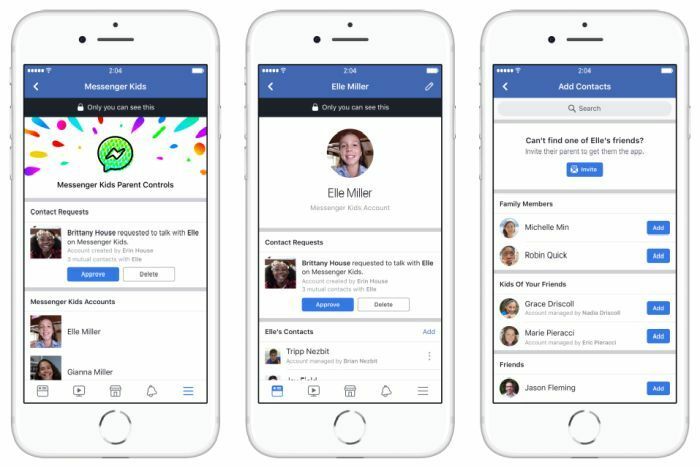 Facebook now allows users to designate a “legacy contact” who, after your death, can change certain elements of a memorialised account. This includes managing new friend requests, changing profile pictures and pinning a notification post about your death. But neither a legacy contact, nor anyone else, can delete older material from your profile. That remains visible forever to whoever could see it before you die. The only other option is to leave specific instructions for your legacy contact to delete your profile in its entirety. Instagram, owned by Facebook, allows family members to request deletion or (by default) locks the account into a memorialised state. This respects existing privacy settings and prevents anyone logging into that account or changing it in the future. Twitter will allow verified family members to request the deletion of a deceased person’s account. It will never allow anyone to access it posthumously. LinkedIn is very similar to Twitter and also allows family members to request the deletion of an account. Google’s approach to death is decidedly more complicated, with most posthumous options being managed by the not very well known Google Inactive Account Manager. This tool allows a Google user assign the data from specific Google tools (such as Gmail, YouTube and Google Photos) to either be deleted or sent to a specific contact person after a specified period of “inactivity”. The minimum period of inactivity that a user can assign is three months, with a warning one month before the specified actions take place. But as anyone who has ever managed an estate would know, three months is an absurdly long time to wait to access important information, including essential documents that might be stored in Gmail or Google Drive. If, like most people, the user did not have the Inactive Account Manager turned on, Google requires a court order issued in the United States before it will consider any other requests for data or deletion of a deceased person’s account. The advice (above) is for just a few of the more popular social media platforms. There are many more online places where people will have accounts and profiles that may also need to be dealt with after a person’s death. Currently, the laws in Australia and globally have not kept pace with the rapid digitisation of assets, media and identities. Just as it’s very difficult to legally pass on a Kindle library or iTunes music collection, the question of what happens to digital assets on social media is unclear to most people. As platforms make tools available, it is important to take note and activate these where they meet (even partially) user needs. Equally, wills and estates should have specific instructions about how digital material – photos, videos, messages, posts and memories – should ideally be managed. With any luck the law will catch up by the time these wills get read. This paper examines two ‘ends’ of identity online – birth and death – through the analytical lens of specific hashtags on the Instagram platform. These ends are examined in tandem in an attempt to surface commonalities in the way that individuals use visual social media when sharing information about other people. A range of emerging norms in digital discourses about birth and death are uncovered, and it is significant that in both cases the individuals being talked about cannot reply for themselves. Issues of agency in representation therefore frame the analysis. After sorting through a number of entry points, images and videos with the #ultrasound and #funeral hashtags were tracked for three months in 2014. Ultrasound images and videos on Instagram revealed a range of communication and representation strategies, most highlighting social experiences and emotional peaks. There are, however, also significant privacy issues as a significant proportion of public accounts share personally identifiable metadata about the mother and unborn child, although these issue are not apparent in relation to funeral images. Unlike other social media platforms, grief on Instagram is found to be more about personal expressions of loss rather than affording spaces of collective commemoration. A range of related practices and themes, such as commerce and humour, were also documented as a part of the spectrum of activity on the Instagram platform. Norms specific to each collection emerged from this analysis, which are then compared to document research about other social media platforms, especially Facebook. You can read the paper online here, or if the paywall gets in your way there’s a pre-print available via Academia.edu. Visual content is a critical component of everyday social media, on platforms explicitly framed around the visual (Instagram and Vine), on those offering a mix of text and images in myriad forms (Facebook, Twitter, and Tumblr), and in apps and profiles where visual presentation and provision of information are important considerations. 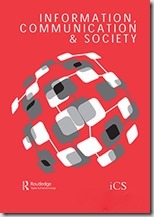 However, despite being so prominent in forms such as selfies, looping media, infographics, memes, online videos, and more, sociocultural research into the visual as a central component of online communication has lagged behind the analysis of popular, predominantly text-driven social media. This paper underlines the increasing importance of visual elements to digital, social, and mobile media within everyday life, addressing the significant research gap in methods for tracking, analysing, and understanding visual social media as both image-based and intertextual content. In this paper, we build on our previous methodological considerations of Instagram in isolation to examine further questions, challenges, and benefits of studying visual social media more broadly, including methodological and ethical considerations. Our discussion is intended as a rallying cry and provocation for further research into visual (and textual and mixed) social media content, practices, and cultures, mindful of both the specificities of each form, but also, and importantly, the ongoing dialogues and interrelations between them as communication forms. This paper is free to read online until at least the end of 2016, but if a paywall comes up, there’s a pre-print of this one of Academia.edu, too. Video games are a significant and still rapidly expanding area of popular culture. Media Access Australia estimated that in 2012 some twenty percent of gamers were people with a disability, yet, the relationship between video gaming, online gaming and disability is an area that until now has been largely under explored. This collection seeks to fill that gap. We are looking for scholars from both disability studies and games studies, along with game developers and innovators and disability activists and other people with interest in this area to contribute to this edited collection. We aim to highlight the history of people with disabilities participating in video games and explore the contemporary gaming environment as it relates to disability. This exploration takes place in the context of the changing nature of gaming, particularly the shift from what we might consider traditional desktop computer mediation onto mobile devices and augmented reality platforms. The collection will also explore future possibilities and pitfalls for people with disabilities and gaming. Potential authors are invited to submit chapter abstracts of no more than 500 words, including a title, 4 to 6 keywords, and a brief bio, by email to Dr Mike Kent <m.kent@curtin.edu.au> by 15 February 2017. (Please indicate in your proposal if you wish to use any visual material, and how you have or will gain copyright clearance for visual material.) 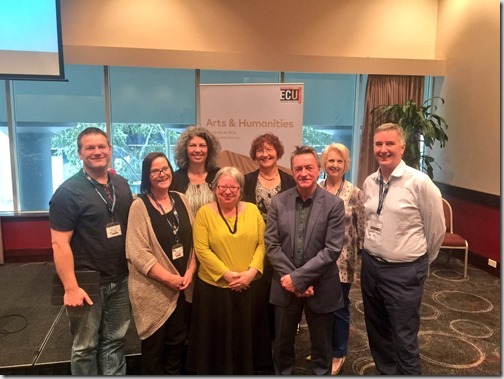 Authors will receive a response by 15 March 2016, with those provisionally accepted due as chapters of approximately 6000 words (including references) by 15 June 2016. If you would like any further information, please contact Mike Kent. The editors are all from the Department of Internet Studies at Curtin University and have a history of successfully publishing edited collections in the areas of and gaming, disability, and new media. Dr Katie Ellis is an Associate Professor and Senior Research Fellow in the Department of Internet Studies at Curtin University. Her research focuses on disability and the media extending across both representation and active possibilities for social inclusion. Her books include Disability and New Media (2011 with Mike Kent), Disabling Diversity (2008), Disability, Ageing and Obesity: Popular Media Identifications (2014; with Debbie Rodan & Pia Lebeck), Disability and the Media (2015; with Gerard Goggin), Disability and Popular Culture (2015) and her recent edited collection with Mike Kent Disability and Social Media: Global Perspectives (2017). 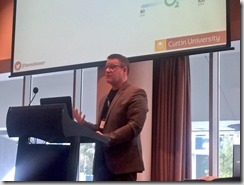 Dr Mike Kent is a senior lecturer and Head of Department in the Department of Internet Studies at Curtin University. Mike’s research focus is on people with disabilities and their use of, and access to, information communication technology and the Internet. His other area of research interest is in higher education and particularly online education, as well as online social networking platforms. 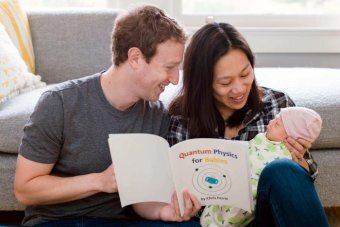 His book, with Katie Ellis, Disability and New Media was published in 2011 and his edited collection, with Tama Leaver, An Education in Facebook? Higher Education and the World’s Largest Social Network, was released in 2014. His latest edited collection, with Katie Ellis, Disability and Social Media: Global Perspectives is available 2017, along with his forthcoming edited collections Massive Open Online Courses and Higher Education: What went right, what went wrong and where to now, with Rebecca Bennett and Chinese Social Media Today: Critical Perspectives with Katie Ellis and Jian Xu. Dr Tama Leaver is an Associate Professor in the Department of Internet Studies at Curtin University. He researches online identities, digital media distribution and networked learning. 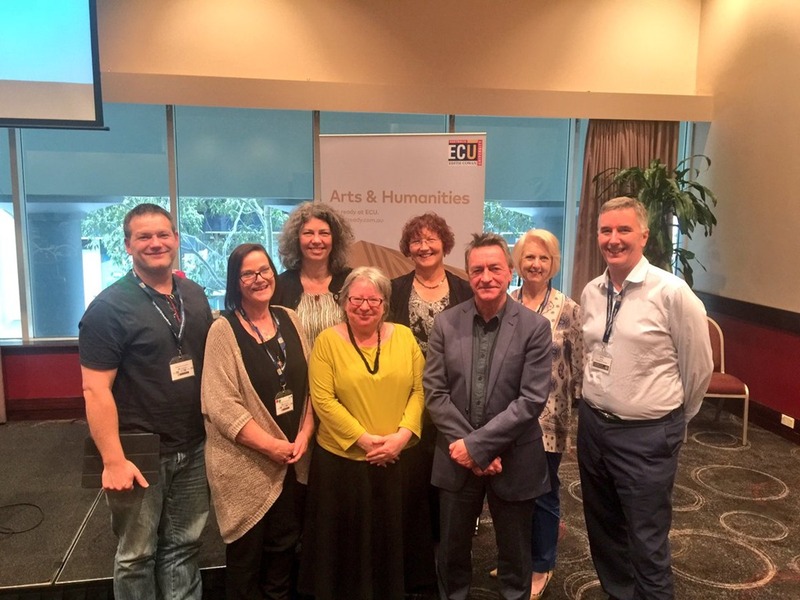 He previously spent several years as a lecturer in Higher Education Development, and is currently also a Research Fellow in Curtin’s Centre for Culture and Technology. His book Artificial Culture: Identity, Technology and Bodies was released through Routledge in 2012 and his edited collections An Education in Facebook? Higher Education and the World’s Largest Social Network, with Mike Kent, was released in 2014 through Routledge, and Social, Casual and Mobile Games: The Changing Gaming Landscape, with Michele Wilson, was released through Bloomsbury Academic in 2016. Parents are increasingly sharing information about infants online in various forms and capacities. 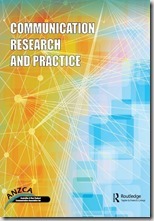 In order to more meaningfully understand the way parents decide what to share about young people, and the way those decisions are being shaped, this paper focuses on two overlapping areas: parental monitoring of babies and infants through the example of wearable technologies; and parental mediation through the example of the public sharing practices of celebrity and influencer parents. The paper begins by contextualizing these parental practices within the literature on surveillance, with particular attention to online surveillance and the increasing importance of affect. It then gives a brief overview of work on pregnancy mediation, monitoring on social media, and via pregnancy apps, which is the obvious precursor to examining parental sharing and monitoring practices regarding babies and infants. The examples of parental monitoring and parental mediation will then build on the idea of “intimate surveillance” which entails close and seemingly invasive monitoring by parents. Parental monitoring and mediation contribute to the normalization of intimate surveillance to the extent that surveillance is (re)situated as a necessary culture of care. The choice to not survey infants is thus positioned, worryingly, as a failure of parenting. The full version of this paper is currently under review, but if you’re interested in reading the draft, just email me.